Dr. Scott Broadwell’s romantic plans he had organized to celebrate his wife Paula’s 40th birthday were abruptly shattered on Friday by the revelation that she had been having a relationship with general David Petraeus. Paula and Scott Broadwell were enjoying a two-day break at the Middleton Inn in Little Washington, Virginia when news of the scandal broke, leading to David Petraeus stepping down as CIA director. Sources told the Washingtonian.com that the couple had enjoyed “strenuous” bike rides, champagne and cozy dinners since arriving at the luxury inn on Thursday evening. The Broadwells took the Ascot Room at the Manor House which is available for $295 – $475 a night. It boasts a working fireplace, four-poster bed and private marble bath. According to sources, Dr. Scott Broadwell, a radiologist, had arranged for Champagne and a bouquet of roses for his wife’s milestone birthday. There is plenty to do in the idyllic Blue Ridge Mountain region. Along with breathtaking scenery, perfect for hiking and bike rides, the town of Little Washington – just 70 miles from D.C. – boasts fine dining. wineries and artisan boutiques. The couple reportedly joined other guests at the Inn for breakfast – but by the time they returned from a romantic dinner on Friday evening, they were described to the magazine as “not being in very good moods”. 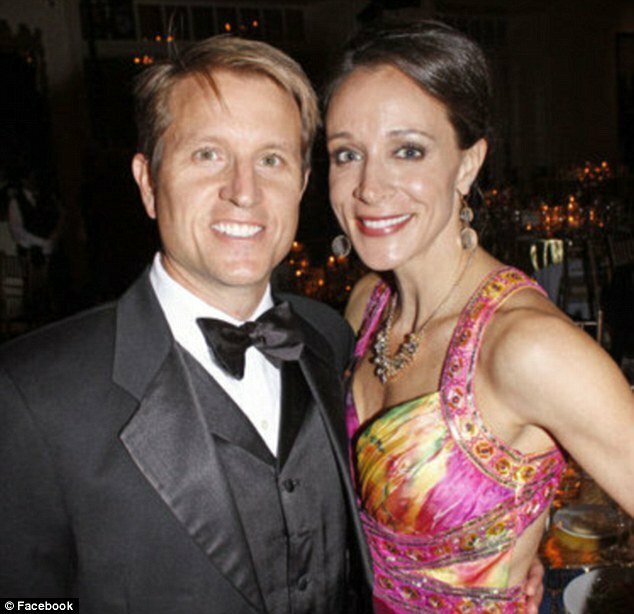 Scott and Paula Broadwell left abruptly on Saturday morning and were allegedly on their way to D.C. A party had also been planned for Paula Broadwell’s birthday on Saturday night – but it was cancelled. The Broadwells have two young sons and live in suburban Charlotte, North Carolina. The family’s upmarket home has been empty since the weekend with two silver cars parked in the brick garage. Paula Broadwell moved to Charlotte, more than three years ago with her doctor husband and their two young sons.